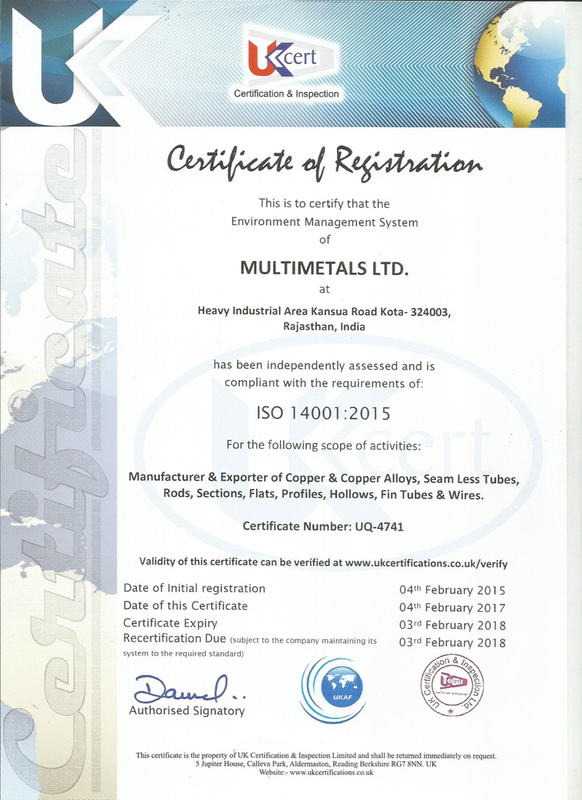 Perfectly documented work-procedures endorsed by the 3rd party accreditations, certifications and approvals ensure utmost accuracy in Multimetals’ everyday operations. 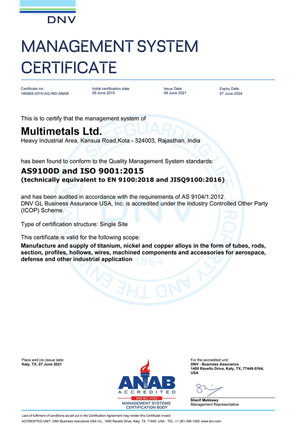 Multimetals has now attained the prestigious AS9100C certificate in order to qualify the supply of our products for Aerospace & Defence sectors. 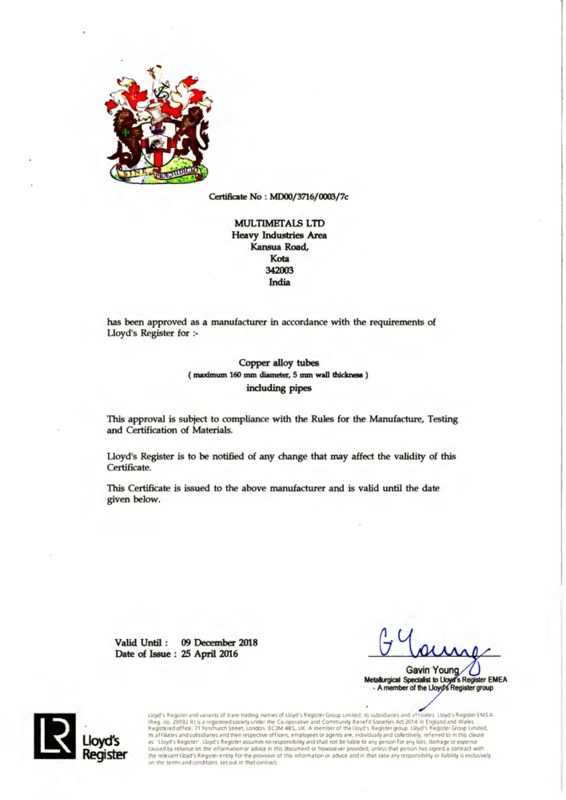 Multimetals already is an ISO 9001:2008 certified company with its works approved from Lloyds Register. 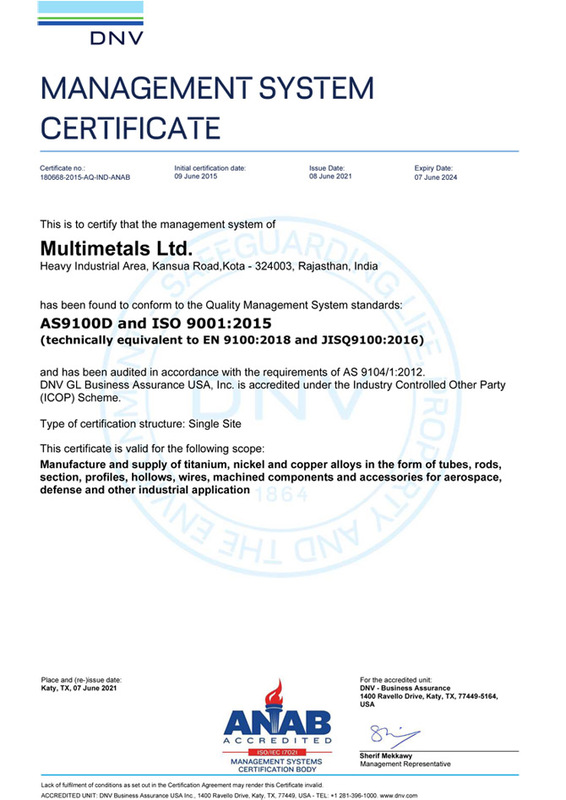 We possess PED Certification and self-certification AD 2000 Merkblatt W6/2 from TUV Nord. We are approved vendors of some of the renowned petrochemical companies worldwide including KNPC, SABIC, ADNOC, TAKREER, ADMA OPCO and Qatar Petroleum. 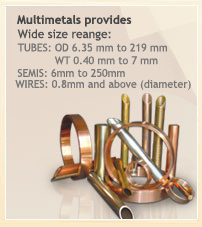 Our in-house R&D facility is approved from Government of India and we enjoy the status of being registered with Engineers India Limited and Indian Defense.We adhere to the highest quality standards, all the time.